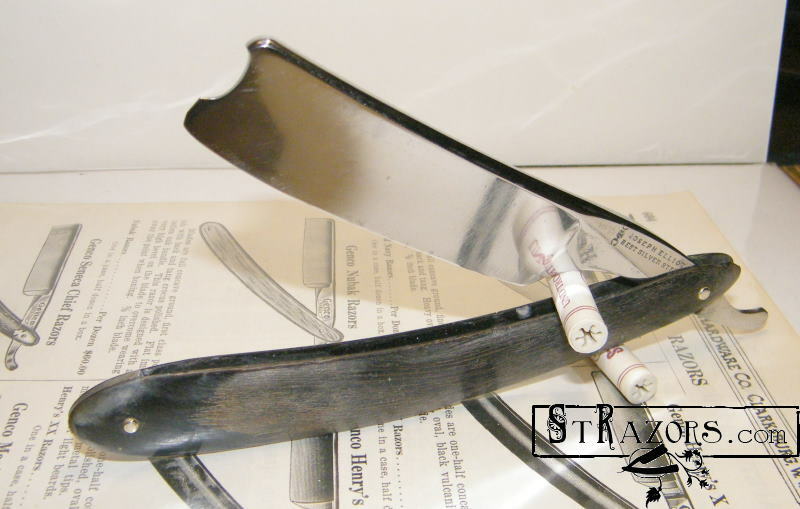 STRAZORS.com - all about classic razors - Joseph Elliot & Sons, Sheffield. Joseph Elliot & Sons, Sheffield. Trade advertisements dated Elliot's to 1795. According to family sources, the firm has so far been traced to Joseph Elliot (c. 1760-30 July 1830), who had ten children. The first directory listing was in 1822, when Joseph Elliot (his son? ), a razor manufacturer, was based in Sambourn Square, Edward Street. Three years later the firm re-located to its nineteenth-century address: Hollis Croft. 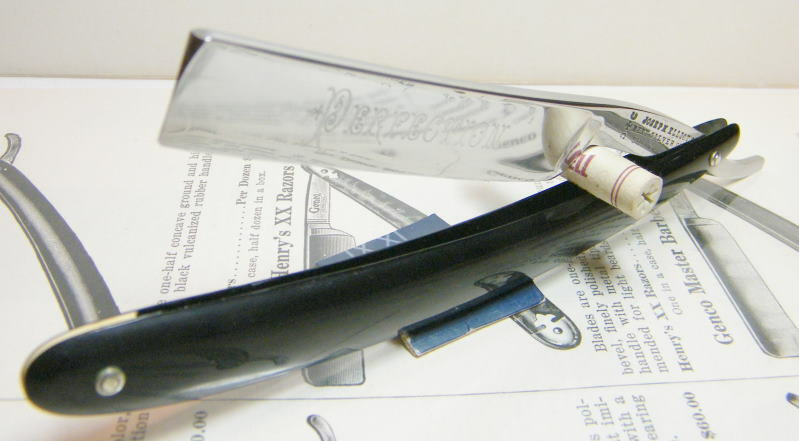 The key individual in the early nineteenth century was Joseph Elliot, a razor maker, who had been born in Sheffield in about 1801. An individual of that name was granted him Freedom by the Company of Cutlers in 1835, after apprenticeship as a razor maker. By 1833, Joseph had been joined by John Elliot (possibly a brother) - a partnership that lasted until 1850. 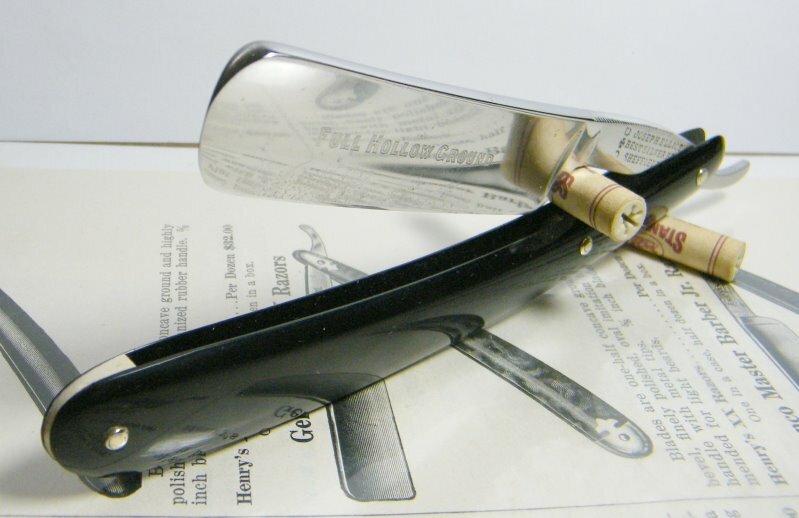 The identity of this 'John' is uncertain (an uncertainty increased by "Eliot" sometimes appearing in directories as "Elliott"), but he was probably the John Elliot listed subsequently as a razor manufacturer in nearby Townhead Street. By 1856, Joseph had been joined by his eldest son, Joseph Edwin Elliot (1829-1899), and the firm was restyled Joseph Elliot & Son. Another son, Thomas Henry Elliot (born c. 1837), was also soon active in the business. Now listed as a merchant and manufacturer, Elliot's dealt in razors, table cutlery (including plated desserts), palette knives and scissors. The firm exhibited at the New York Exhibition in 1853. Elliot's neighbour was George Hides, whose factory provided power for Elliot's workers. The craftsmanship was superb. However, an American visitor to Elliot's workshops in 1868 "was surprised to find the workmen not altogether in one factory, but in different buildings ... [and] in visiting the forges where the elastic metal was bent into such graceful blades, to find them little dingy nooks and corners in a series of old rookeries of buildings, often badly lighted, cramped and inconvenient, and difficult of access" (Shef¬field Independent, 5 December 1868). Joseph Elliot, Western Bank, died on 2 August 1874, aged 73, and was buried in Ecclesall churchyard. Joseph E. Elliot - who was granted his Freedom in 1874 - succeeded him as senior partner in the company, and managed the firm alongside a brother, James William Elliot (1841-1904). As the company expanded, table knives became more important. In 1881, the firm employed 110 men. Its trademark was a Maltese Cross and two C's (granted in 1805). In 1898, it registered a silver mark. It also acquired the set-square-dividers and WOLF marks of John Barber; the "USE YOUR TIME WELL" scissors mark of Pryor Brothers; and the mark of George Woodhead & Son. Joseph E. Elliot died on 15 November 1899 and was buried in Fulwood. James William Elliot then briefly took control of the firm (helped by his son, Gilbert). James William, however, died at his home Brinkburn Grange, Dore, on 3 June 1904, aged 62 . Joseph Greaves Elliot (the son of J.E. Elliot, who was born in 1856) now assumed control. In about 1900, the firm had bought the assets of Allen & Son, which included Allen's trademark (three Maltese Crosses) and afterwards Elliot's renamed the Hollis Croft factory as Granville Works (Allen's old factory name). Hollis Croft remained the firm's address during the First World War, when it advertised most types of knives: carving knives, pocket cutlery, and table and plated ware. 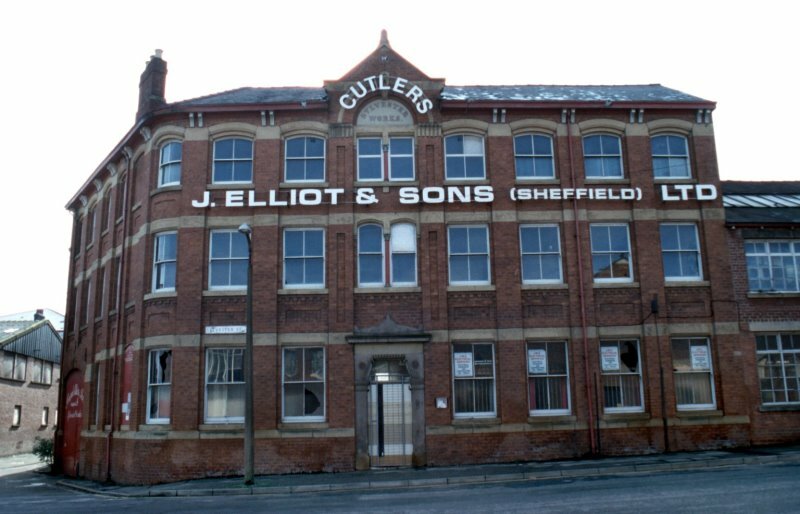 In 1919, Elliot's was incorporated as part of Sheffield Cutlery Manufacturers Ltd, a grouping of firms led by Needham, Veall & Tyzack. Elliot was brought into the combine to provide support for group member, Lockwood . In 1923, Elliot's moved to Lockwood's site at Spital Hill. 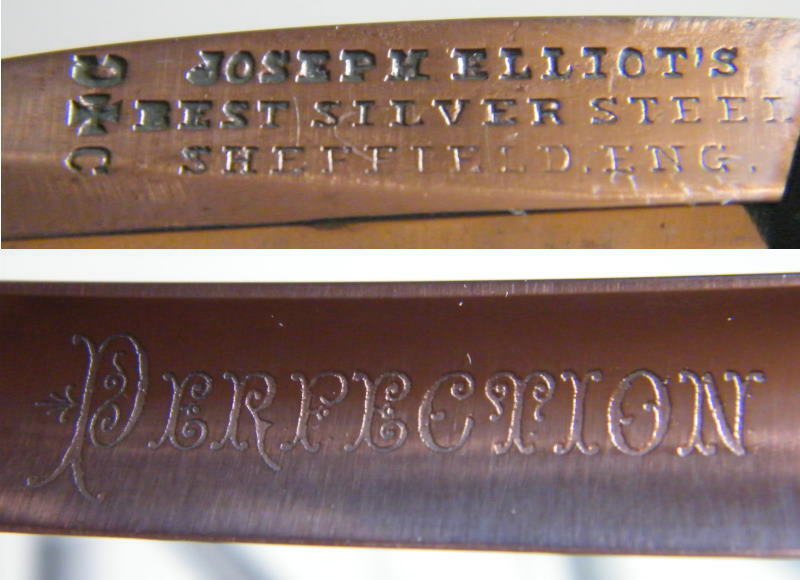 But Sheffield Cutlery Manufacturers proved a fiasco and didn't survive the 1920s. Elliot's, though, emerged from the wreckage and in 1926 occupied Sylvester Works of Thomas Ellin. In 1927, a private limited company, Joseph Elliot & Sons (Sheffield) Ltd. was formed. Besides acquiring the Ellin marks, Elliot continued to buy the trademarks of other firms, such as James Barber, Thomas Renshaw, John Wigfall, John Wilson, and Lockwood Bros. In a listing of marks by the Company of Cutlers (Whitham and Sykes, 1953), Elliot's took up four pages. Elliot's achieved greater prominence after 1945, as the decline of the industry left it with fewer competitors. The chairman, Joseph G. Elliot, died in November 1949, aged 93, and left three sons - (Joseph) Hawksley Elliot (1884-1978), George Hawksley Elliot (1891- 1986), and John Gilbert Elliot (1895-1980). George was an army officer and never concerned himself with the business. In Sheffield, the brothers relied upon Arthur Revitt, who had started in the firm's grinding shops, but later became a director and managed the factory. In 1972, W. D. Slater (of Herbert M. Slater) and Jack Taylor, who together owned the cutlery materials manufacturer, J. Dewsnap Bowler Ltd, decided to buy Elliot's. By then, it was one of the last Sheffield firms to preserve the traditional methods. Hand-forgers (such as Albert Craven) and grinders could still be seen at Elliot’s in the 1970s and early 1980s and it still sold hunting and pocket knives. Jack Taylor retired in 1986 and Arthur Revitt left in about 1990 (when he was into his 80s). By then, cutlery production at Sylvester Works had ceased. The factory has since been renovated. The history is according to the Tweedale's Directory of Sheffield Cutlery Manufacturers by Geoffrey Tweedale.